The Global Urban Humanities Initiative offers a team-taught graduate-level traveling research studio course and a site-based undergraduate research studio course on urban topics each year. We provide support and funding for faculty from different divisions to develop curriculum and teach together. Each team must include one faculty member from the College of Environmental Design and one from the Arts & Humanities Division or from the humanistic social sciences. If you are interested in learning more, please contact GUH Project Director Susan Moffat at susanmoffat@berkeley.edu. Grants have already been distributed for the graduate research studio for 2018-2019 and 2019-2020, and for the undergraduate research studio for 2018-2019. We are accepting applications for the undergraduate research studio for 2019-2020. The Global Urban Humanities Initiative (GUH) studies cities by bringing together the arts and humanities, the interpretive social sciences, and the environmental design disciplines. GUH experiments with cross-disciplinary forms of pedagogy and research through the creation of team-taught courses. 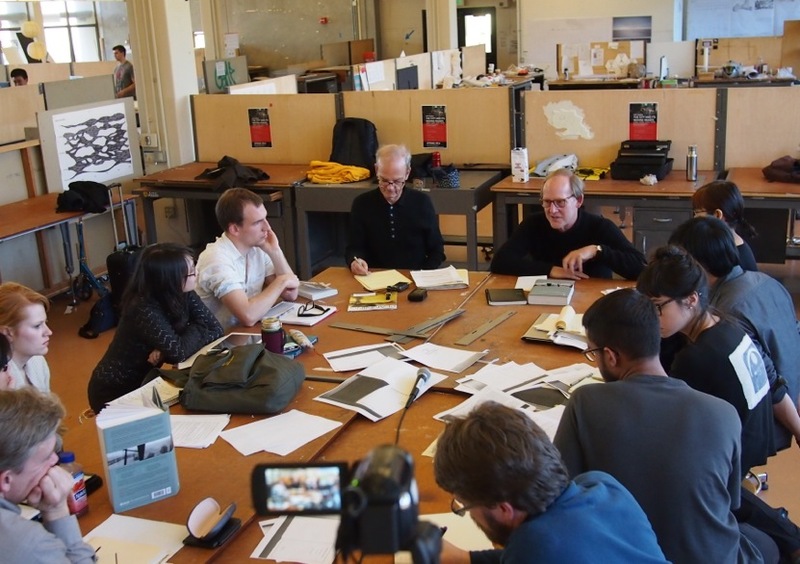 Each year GUH sponsors an undergraduate interdisciplinary studio course set in a San Francisco Bay Area city. GUH invites interdisciplinary two-person faculty teams to submit proposals for an undergraduate research studio course on cities and urban experience that will combine approaches from the arts and humanities and the environmental design disciplines. One team member must be from the College of Environmental Design and the other must be from the Arts & Humanities Division or the interpretive social sciences. The Interdisciplinary Undergraduate Research Studio is the centerpiece of a new Undergraduate Certificate in Urban Humanities and should reflect the goals and approaches of the Initiative. Background is available at globalurbanhumanities.berkeley.edu. The Initiative will provide funding for a course for about 16 students, including funding for a GSI, and $4,000 for guest speakers, materials and lab fees, and local travel costs. GUH will also provide summer salary of up to $5,000 each for the two faculty members to support course preparation. If a faculty member is not able to teach the course as part of their regular courseload and a replacement must be hired, course replacement funds of $13,500 will be available to one of the two departments participating in the course. Proposals must be made by teams of two, including one faculty member from the Arts & Humanities Division or the interpretive social sciences, and one from the College of Environmental Design. Preference will generally go to ladder-rank faculty. The grant awards will be decided by Jennifer Wolch, Dean of the College of Environmental Design and Anthony J. Cascardi, Dean of the Arts and Humanities Division based on the quality and innovation of the proposal, its alignment with the goals and methods of GUH, and the relevant experience of the proposers. GUH courses study urban form and urban experience. The Interdisciplinary Undergraduate Research Studio might address the history of a neighborhood, the nature of performance in urban space, the relationship of design and politics, the functioning of a park, the ways that literature or music shed light on cities, issues of race, gender, disability, etc. They key is that the methods of research and representation used should come both from the arts and humanities (or interpretive social sciences) and from architecture, landscape architecture, urban design, or urban planning. The purpose of the studio course is to examine a site or sites in-depth and significant field work should be involved. Therefore, the proposal should explain how this will be achieved, particularly if the site is at some distance from the Berkeley campus. The site(s) could range in size from a plaza to a neighborhood to a region, but the emphasis should be on intensive investigations in depth and the geographic extent should be appropriate to the methods planned. The Initiative is funded by the Andrew W. Mellon Foundation and has completed five years of sponsoring new courses, symposia, exhibitions, and publications. It is a part of a movement across more than a dozen universities funded by Mellon that is combining architecture and the humanities in new ways. MORE INFORMATION IS AVAILABLE IN THE APPLICATION FORMS.